Here are the topics for our catch up activities. Please prepare a PowerPoint Presentation containing the following information. Be ready to present your PPT in the class. 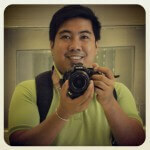 I am expecting your PPTs on Monday, February 17, 2013. Topic # 1: Where in the world is the Philippines? What is the Geographic Coordinate System? How can it be use to determine the location of a particular place? 3. What is the location of Philippines in terms of longitude and latitude? Topic #2: Where in the world is the Philippines? iii. Show at least 10 pictures of the different natural resources found in the Philippines, include details about the location of these natural resources. What are the different uses of water? Show pictures of how people use water. Where does the water in your community come from? Show pictures of different water sources in your community. What is a watershed? Show photos of watersheds in the Philippines and diagrams illustrating how a watershed serves as source of water. Discuss the relationship between a healthy watershed and rich biodiversity. You may download the videos and show them to the class. Topic # 5 How are soils formed from rocks? Show pictures showing the processes of soil formation. How do the temperature and rainfall affect soil formation? Topic # 6 Where are the mineral deposits in the Philippines? Show a picture of Metallic Deposits Map of the Philippines. Show a picture of Map of Trenches and Faults in the Philippines. Show a Map of Volcanoes in the Philippines. 5. Are there metallic deposits in our region? Where are they found? 6. Why do you think are metallic deposits abundant in places where there are trenches and volcanoes? Are these energy sources renewable or nonrenewable? Do these energy sources harm the environment? If so, how can the environment be protected from the harm caused by these energy sources? What is the relationship between temperature and altitude (height)? Which layer has the lowest temperature? Which has the highest? What is the ITCZ? How does it affect us?